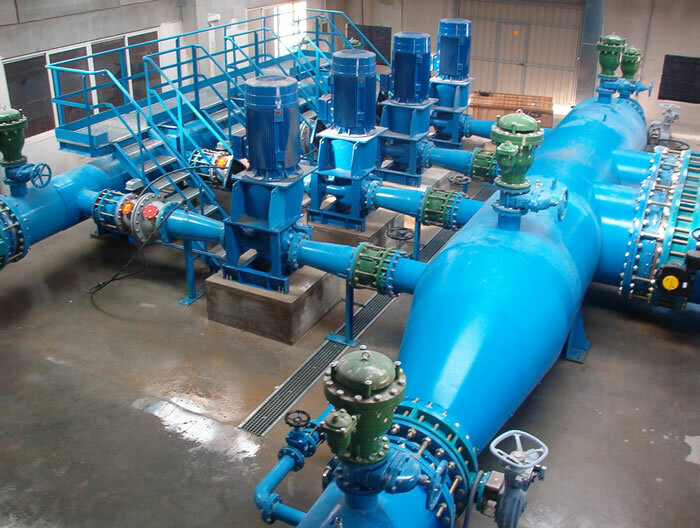 The pumping system is made up by the necessary equipment to guarantee the water supply to the extinguishing system. The pumping system against fires has two pumps that are activated , one by a diesel motor and the other one by an electric motor. The outdoor network is the ensemble of pipes that carry water from the pump to the systems against fires, they could be hoses, hydrants, or sprinklers.